Frugal Fitness: Dream The Impossible Dream: A Permanent Weight Loss Fix? Dream The Impossible Dream: A Permanent Weight Loss Fix? One of the most common New Year’s resolutions is to lose weight and keep it off. While we begin our post-Christmas eating plan with the best of intentions after a week of turkey, chocolate, candy and alcohol, we can quickly find our motivation waning and our quick fix sugary snacks creeping back into our lifestyle. Fad diets are ten a penny and should be avoided like the plague. There’s nothing worse than being told that all you need to do to lose ten pounds is to drink cabbage water and eat half an apple and a potato every day for two weeks. Yes, you may lose ten pounds, but your skin will be dry, your breath will be unpleasant, and you’ll be suffering from the shakes due to borderline malnutrition. And to top it all off, you’ll return to a more sensible way of eating only to put most of the weight back on. So, what is the alternative? Take a look at these more positive steps to achieving permanent weight loss. How many times have you heard people say you just need to eat a balanced diet in moderation? Plenty. But it’s true. 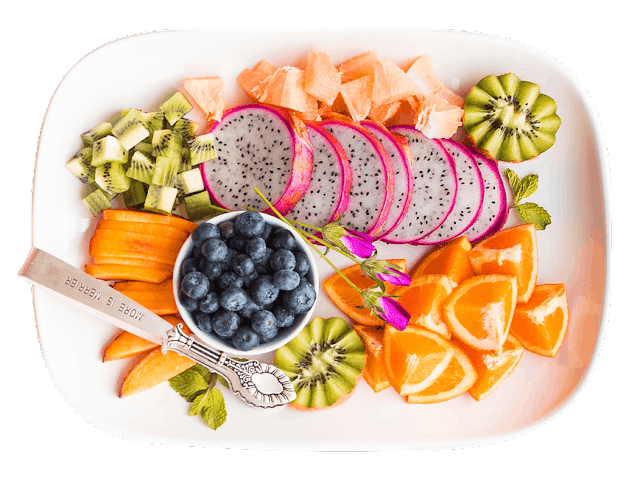 Try to eat the rainbow as described here on Frugal Fitness to help you achieve the perfect balance. Don't opt for white/beige foods every day. No more days should be spent gorging on starchy potatoes, white pasta, rice and bread. Try to put a little more color into your diet. Flood your plate with beetroot, iron-rich kale, antioxidant filled sweet peppers, lean chicken and turkey. If you fancy something sweet, reach for the yogurt pot or homemade oat flapjacks with minimal sugar and fats. Cutting out the refined sugars will prevent you from having a sugar spike followed by the inevitable crash which then leads to you clawing for a chocolate bar. Some of us aren’t blessed with the leanest bodies and feel that we need a bit of help to set us on the right course for our weight loss journey. Weight loss surgery benefits those people who have a particularly large amount of weight to lose, where dieting alone could make the end goal seem unobtainable. Dr Steven Tersigni from BayBariatrics.com has been performing weight loss surgery for more than 15 years and recommends the vertical sleeve gastrectomy as the safest weight loss procedure. From here, patients can then follow a healthy eating plan for the rest of their lives continually and safely losing weight until they change to a maintenance program. We are not all gym bunnies. Some of us despise the thought of turning up on the treadmill only to see bronzed Adonis-like figures sweating it out on the rowing machine. It can make many feel self-conscious and inadequate. Instead, why not head for outdoors to boost your motivation? By walking and increasing the distance every day you are taking part in a valuable cardiovascular workout. Enrol in a yoga class, opt for a gentle stretching exercise or head to a Tai’ Chi session to boost your self-confidence. Losing weight is a goal of many but keeping it off is only achieved by a few. If you eat a balanced diet, partake in regular exercise and have the motivation to continue along your healthy path, you too will achieve a permanent weight loss fix. I hope you enjoyed this article about losing that weight and keeping it off for the long-term. Interested in more frugal fitness weight loss and nutrition posts?